Claxton provides expert level guidance and advice to Marine Corps Systems Command (MCSC) senior principals engaged in life cycle logistics planning on behalf of the Marine Corps’ equipment fielding managers. The scope of this support entails providing technical and business assessments of current and emerging policy impacts on acquisition logistics processes, identifying potential consequences, and formulating alternatives and affordable implementation solutions. Assessment initiatives undertaken in support of Acquisition Logistics and Product Support (AC/ALPS) include the independent review of the effectiveness of Marine Corps Orders for logistics and sustainment; reviews of Performance Based Logistics (PBL) progress initiatives; reviews of Reliability Centered Maintenance (RCM) initiatives; analysis of depot utilization rates; and organic supply chain effectiveness supporting wartime operations. Senior Claxton SME’s have engaged with unit operations staff and depot level principals to identify the impact of governance documents on logistics efficiency, producing a ‘logistics road-map’ modeled on the Supply Chain Operational Reference (SCOR®) model that clearly defines process ownership, interfaces, and outputs. 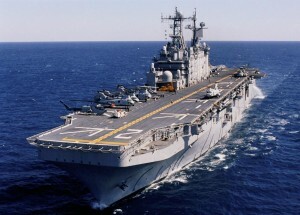 Similar outcomes have been realized under the broad charter of the Marine Corps’ Logistics Modernization (LOGMOD) and Ground Equipment Maintenance (GEMP) programs, employing the current GCSS-MC baseline and implementation schedule as the conduit for PBL and RCM system level sustainment. These efforts included an analysis of asset/unit candidate systems based upon the Marine Corps’ current and planned force structure alignment as a means to develop a benchmark data set for tracking implementation success. Claxton SME’s have also provided independent assessments of supply chain effectiveness, including depot utilization levels (current/projected) along with compliance reviews of the DOD level industrial utilization policy for the Joint Industrial Base Working Group (JIBWG). In this capacity, our staffs have provided reports and briefings quantifying data on current and projected industrial base usage to JIBWG leadership, as well as coordinating stakeholder inputs from unit and depot level activities. © 2012-2019 Claxton Logistics. All rights reserved.